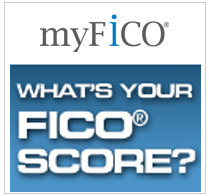 myFICO is our recommended choice for those who are interested in their credit report. myFICO has multiple choices for you to pick from. You can get a simple report to reports from all 3 credit report bureaus. They also offer credit monitoring to help you watch and secure your credit information. Individual FICO scores and credit reports from Experian, Equifax or TransUnion. Includes an explanation of the positive and negative factors affecting your score, plus access to the FICO Score Simulator, which shows you how actions like paying off an existing account or opening new accounts may affect your FICO scores. FICO Credit Complete is your complete credit picture – all three FICO scores and credit reports from TransUnion, Experian, and Equifax. Includes an explanation of the positive and negative factors affecting your score, plus access to the FICO Score Simulator, which shows you how actions like paying off an existing account or opening new accounts may affect your FICO scores. Suze Orman, one of the most trusted financial advisors in the world today, has teamed up with myFICO to create this easy-to-use kit. Suze Orman's FICO Kit Platinum includes three FICO scores and three credit reports and shows you how to get the lowest rates on credit cards, get out of debt quicker, and save on mortgage and car loans. 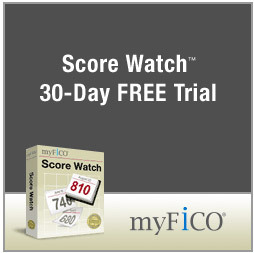 Score Watch provides daily monitoring of your Equifax Credit Report and weekly monitoring of your FICO score, notifies you when you may qualify for better interest rates, delivers alerts when important changes to your score and report are detected, and shows you key factors affecting your FICO score and how lenders view you. FICO Quarterly Monitoring does just that; it tracks your TransUnion FICO score and credit report 4 times a year and monitors more than 400 other data sources for signs of identity theft. In addition, FICO Quarterly Monitoring tracks key elements of your credit and shows you how they're changing from quarter to quarter. There are no hidden fees or free trials to credit monitoring that charge you if you don't cancel. You have your choice of picking from getting only your credit report and/or if you do want credit monitoring, all the pricing and information is available immediately to you.